Danielle Cuaycong in Fashion & Beauty on 13 February, 2018. 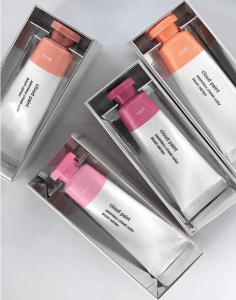 If you, like any other millennial, incessantly refresh your Instagram’s ‘Explore’ page in the hope of finding something new, you probably would have already crossed paths with the New York phenomenon that is ‘Glossier’. 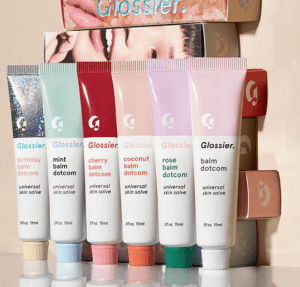 For those who are unaware of what the millennial pink ‘Glossier’ is, it is a makeup brand, which has quickly assumed the role of being the ultimate beauty blogger favourite due to its “skin first, make-up second” mentality. 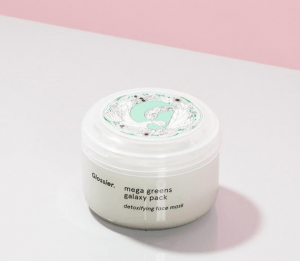 As one of the fastest growing brands on the market, Glossier has finally landed in the UK and these items are our ultimate favourites (which you need to buy ASAP). 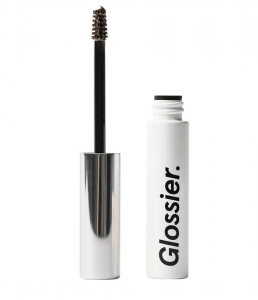 This is the brand’s number one best selling product and here’s why – it may be absolutely tiny but it is packed with a pigmented hair pomade that will give your eyebrows definition, without needing any other product whatsoever. With four shades – blonde, brown, black and clear – pick whichever shade floats your boat and you’ll find that your eyebrows stay put the whole day, without a single flake. For those days you want to kick back and relax, pop this on while you’re watching your favourite episode of ‘Friends’ and you’ll find your skin will feel deeply cleansed and pure once it is dry. With an abundance of ingredients including white kaolin clay, superfruit antioxidants and leafy greens, this detoxifying face mask will draw out any impurities, leaving your skin soft and supple after. With the painfully cold season upon us, dry lips are certainly not the one. This multipurpose lip and skin salve’s waxy formula will soothe your lips whilst adding a subtle tint. There are several shades available – Birthday (inspired by Milk Bar’s famous cake which has a light shimmer), Cherry (a deeper red tint), Rose (a faded pink tint), Mint (for a slightly tingly sensation) and Coconut. 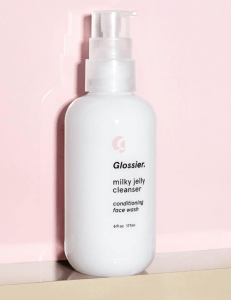 If you find yourself frustrated because you can’t wipe off last night’s stubborn glitter off your face, this cleanser (made up of five skin conditioners and cleansing agents) will be your holy grail. This will remove even the most waterproof and tough of makeup, whilst gently cleansing your skin, leaving it even softer. Cloud Paint is a light, gel-cream formula that will leave you with naturally ‘blushed’ cheeks. With four different shades (Dusk, Puff, Beam, Haze), you can also use it on your lips for a natural tint that will match.